Would you like to be a volunteer with the Marine Science Center? Have you been wondering how you can share your Salish Sea enthusiasm with our visitors this summer? It's time to be a Docent in the Aquarium. 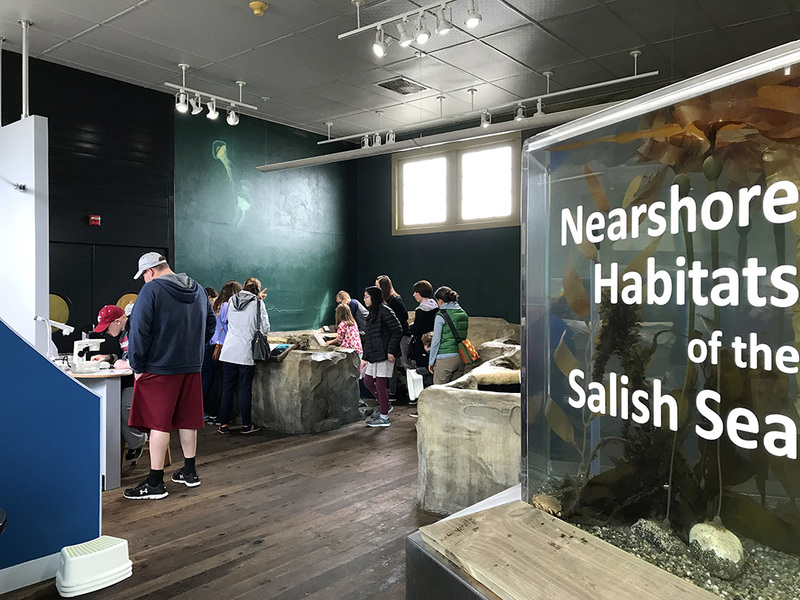 Learn about local marine animals and their nearshore habitats in the aquarium and touch-able tide pools, explore ways to engage visitors of all ages, and be an ambassador for the work of the PTMSC. Part 1: Focusing on the science content, this session is for new Docents and returning Docents who may have missed earlier training. Part 2: Focusing on exhibit interpretation and the nuts and bolts of docenting. Required for all new Docents, current Docents welcome. The exhibit is open from 12-5 pm until Memorial Day. We fill 4 shifts on each day: Friday, Saturday, and Sunday from 12-2:30 pm and 2:30-5 pm. Beginning Memorial Day we are open Wed.-Mon. (closed Tuesdays) from 11am - 5pm. At that point we need to fill 24 slots each week in the Aquarium alone. For more information or to sign up, contact volunteer@ptmsc.org.